Affiliate sales – Bloggers sign up to be an affiliate for different retailers or through a network representing retailers. They are paid a commission (ranging from 1%-10% usually) for every purchase through links from our blog to their site. When you click any of these affiliate links, you’ll get a “cookie” on your site lasting from 1-30 days. What that means is that even if you don’t buy the particular product that you clicked on, if you buy anything on that retailer’s site for the length of the cookie, the blogger gets a commission. Some networks also pay a few cents per click. So if you just click through and don’t buy anything, the blogger still makes a few cents. Affiliate products – Bloggers get a commission for selling certain products like courses, books, and e-books. Usually, the commissions are higher on these products – from 15-40%. One affiliate product I sell is the Adore Your Wardrobe course. Sponsored Posts – A company will pay bloggers a flat fee to write about their product. Sometimes they will offer a commission on sales in addition to the flat fee. Ads – Brands can pay to have space on a blog. Or more commonly, bloggers join ad networks that pay according to the number of views you get on their ads. I have not monetized through ads up until this point, but may sometime in the future. Selling your products or services– Things like books, e-courses, printables, virtual assistant or web design services or things on Etsy. When reading a blog post or seeing something on social media, how can I tell if the blogger is selling something? 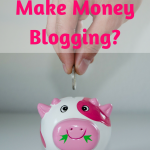 If you see ads on a blog, the blogger is making income from that. If they have a product and are saying “purchase this from me”, that’s pretty obvious. What may be less obvious is if a blogger writes a post and talks about or links to certain products. That’s why the FTC has very strict disclosure guidelines for bloggers promoting affiliate products or writing sponsored posts. Bloggers MUST disclose their relationship with the entity they are selling for. Soft Surroundings provided the clothes and accessories in exchange for a review. All styling and opinions are my own. In all cases, the FTC requires that we disclose our relationship with the brand BEFORE the link to the product. On social media sites like Facebook, Pinterest, Instagram and Twitter, we are required to put #AD or #Affiliate before the link to the product. Since your goal is to generate enough income to provide a part-time income, does that mean you will write a post for any brand that will pay you? That would be a big NO! 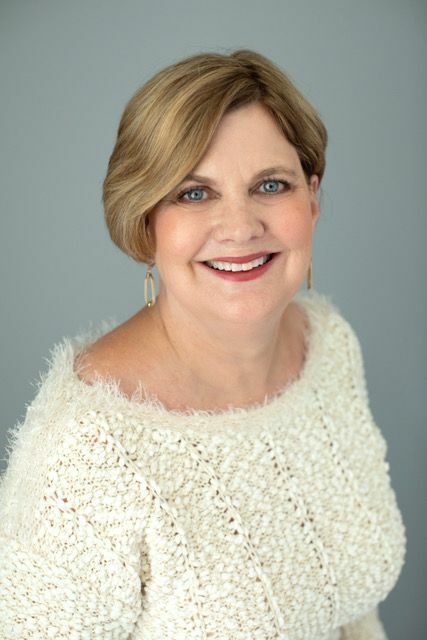 First of all, my purpose for My Side of 50 is to create content that is helpful and of interest to midlife women. If I only did sponsored or affiliate content, then My Side of 50 would be one great big commercial! I only promote products that I have personally used and recommend. Or products that others whom I respect recommend and that are a good fit for my audience. For example, I don’t write about pets, so you’ll never see me writing a post on cat food. First of all, I never feel like it is my reader’s obligation to help me. I am just thrilled that you read My Side of 50. Writing for you, connecting with you – that is what gives me joy. But I get it. Some of you want to help and support My Side of 50. I have some favorite blogs that I follow and I like to promote them in any way I can. Subscribe to my weekly newsletter. You’ll get the latest blog post, plus any posts you may have missed. I also include links to products and sales. Brands look for bloggers with readers who are interested enough in their content to subscribe to their newsletter. Click through and read the blog posts. Every time you go to a page on my blog, that counts as a page view. Brands like to work with bloggers who have a high number of page views. If you read the blog on an app like Bloglovin’, then always click through to the actual post instead of just reading it on the app, so it will count as a page view. Follow me on Social Media. Brands value large numbers of followers Facebook, Twitter, Pinterest, and Instagram. Share the blog post on social media. I have easy share buttons on the left side of my blog so that you can click on a button and share to whatever social media platform you are on. On Facebook, like a post, comment on a post and share a post. On Twitter, like and retweet a post. On Instagram, like and comment on a post. On Pinterest, pin a post. And for those of you who want more details, here’s how your clicks and purchases help My Side of 50. If you are making a purchase through my links, buy on your desktop rather than on mobile apps. All the brands haven’t caught up with technology and many times do not count affiliate sales through mobile apps. You know how I said if you click one of my affiliate links, I can get a commission on ANY purchase you make through that link for the length of the cookie? That is true. But say you click through to Nordstrom from my affiliate link and put several items in your cart. Then you go to another site and click THEIR link to Nordstrom. THEIR affiliate link cancels out my affiliate link and if you make a purchase through THAT link, THEY get the commission. Help me “convert”. Clicking on the links is great. We may make a few pennies. But if we get a high number of conversions, meaning people click on our link and actually BUY, we can often negotiate a higher price per click and more commission per purchase. On a sponsored post where we are just getting a flat rate to post, click through to the brand’s website. Part of what the brand is looking for is how many people go from the blog post they have paid for to their actual website. And if the product is something you are going to purchase, purchase through that link. In the end, brands are looking for a high return on their investment. If you are just online shopping, go to a blog you love and click on that store through the blog’s affiliate links. This is something I do with blogs I love and want to help keep them online with their great content I enjoy. All of that is a lot. Maybe more than you want to know. But I hope it clearly spells out how bloggers make money. I am so grateful for every one of you who reads My Side of 50. For all of your comments, shares, and support. I work on this blog every day and it is truly so much darn fun! I’d do it for free. Leave me a comment below. Did you learn something new about the blogging business? Have a question? (Remember, ENGAGEMENT). And share this post on Social Media! I would so appreciate it. Great post-Cathy. You made all of this blogging business sound so easy. Now I just need to boost my traffic a bit and then contact some affiliates! It’s easy to write about how to make money! It’s another thing to actually do it! Thanks for reading and commenting, Rebecca! This is a great summary…especially how to help a blogger. I shared!! This was a great idea to explain what you do so that your readers understand. We tend to think that some of this is common knowledge, but it is not. 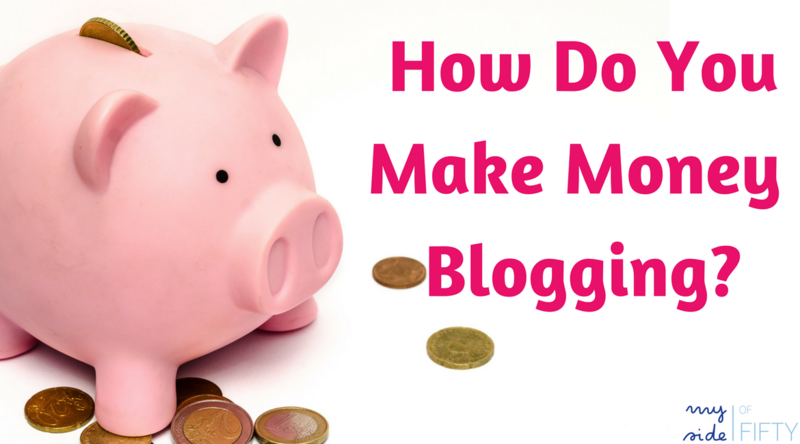 It is fair that bloggers earn money from their work and readers should accept it. Fabulous! I’ve been blogging for about a year and understand many of the keys to making money through blogging (though I haven’t sought to do so myself – yet), but this is the most comprehensive, understandable, useful piece of info I’ve seen! I’m commenting, keeping and sharing it to those who’ve asked me this very question. Really great piece Cathy. What do you think about making money through “subscribers” or patronage? (Medium, Patreon, Kickstarter?) Would love to hear. Feel free to email me too – emilygaf@comcast.net. Thanks! Emily – one podcaster I know does Patreon for her podcast, but I don’t know how she makes out financially. I don’t know anything about making money with subscribers. So glad you liked the post. Thanks for sharing! Hey Cathy – Great post! Affiliate marketing is a cool way to make money blogging, given that you don’t have to worry about creating your own product. At the same time, for our readers to trust us with your recommendations, it is very crucial that we build that connection and trust. I always try to do any kind of help by clicking on the affiliate link or going through my favorite blogger’s recommendation while purchasing something. Thanks for putting this post up! I know the bloggers appreciate those clicks! Thanks for the great post mam! I got a great knowledge of blogging, it’s really useful for a newbie like me,I am getting some positive vibe her,most of the unsuccessful bloggers are shouting that you won’t make money on blogging, its waste of time, I never gonna hear them,I never give up ,I know money will not come at overnight, keep sharing. Yes-making money takes time. There are no overnight successes. Just keep working steadily and you’ll get there.